I told you I was going to use my Crock-Pot again this weekend and I delivered. No Memorial Day would be complete without great food. The hub and I went to a fun barbecue on Sunday at our friends Tom and Erica’s new pad in DUMBO, but one day of good eats is not enough when the school year is almost over and it’s 80 degrees outside. Today was another gorgeous day and there was no way I was leaving my tanning chair on my little ‘Tar Beach’ to get groceries or cook dinner. Hello Crock-Pot. We made delicious pulled pork which is going to last us the next two nights for sure (pulled pork taco?). It was unbelievable. 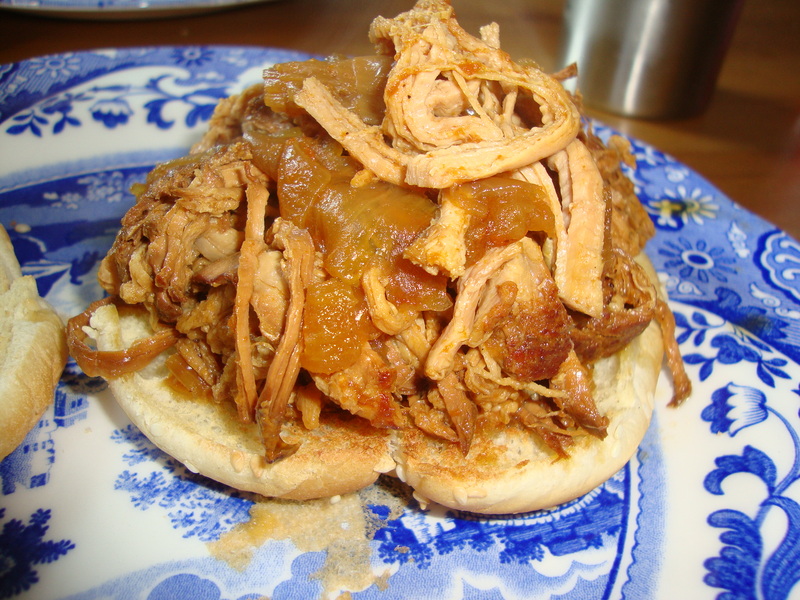 I guess I usually think of pulled pork as “guy food,” but I thought this was exquisite. You don’t need to brown your meat first but I prefer to. In a large skillet I browned my pork loin for about 15 minutes. I was going to cut the fat but honestly there was so little fat on this pork loin I just let it be. I put one cut onion at the bottom of my slow-cooker with a little water. 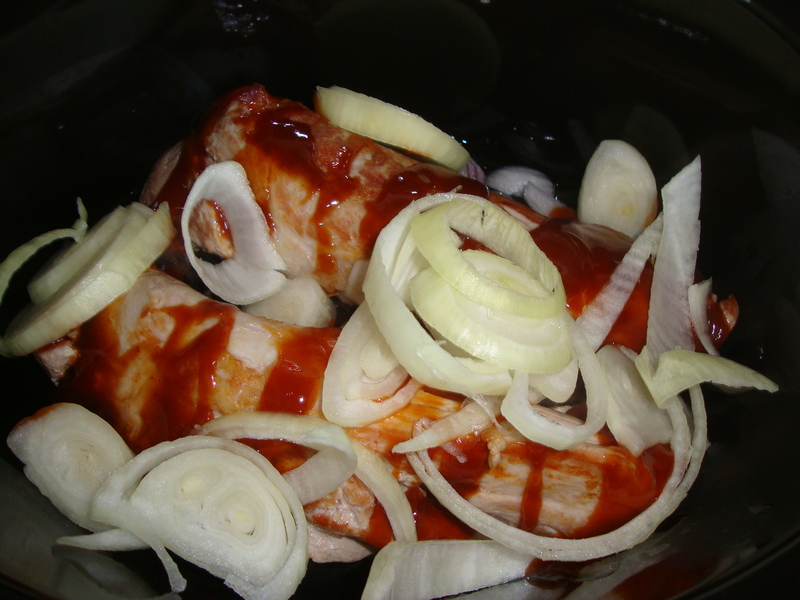 On top of this I put the browned pork loin, a healthy dose of bbq sauce, and the second onion chopped. Cook on low for 7-9 hours. 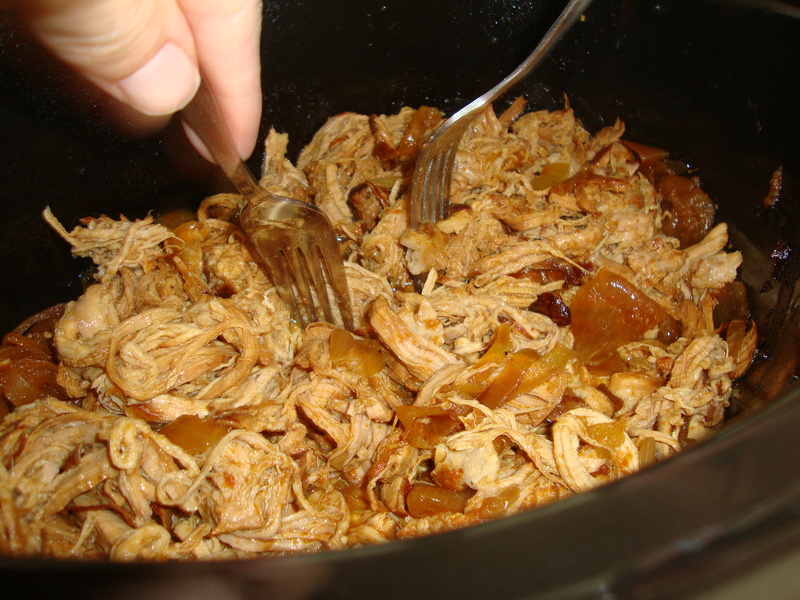 The last hour, shred the pork with a fork and keep it cooking a little longer. Serve on toasted buns with whatever sides you want. The pork is so moist and the onions all mixed in are unbelievable. I can’t wait to eat it again tomorrow night. I make pulled chicken in the crock pot. put the chicken breasts in first (I use 3 or 4 halves) add a can of coke (can be diet or reg) and a can of chicken broth (I use low sodium). 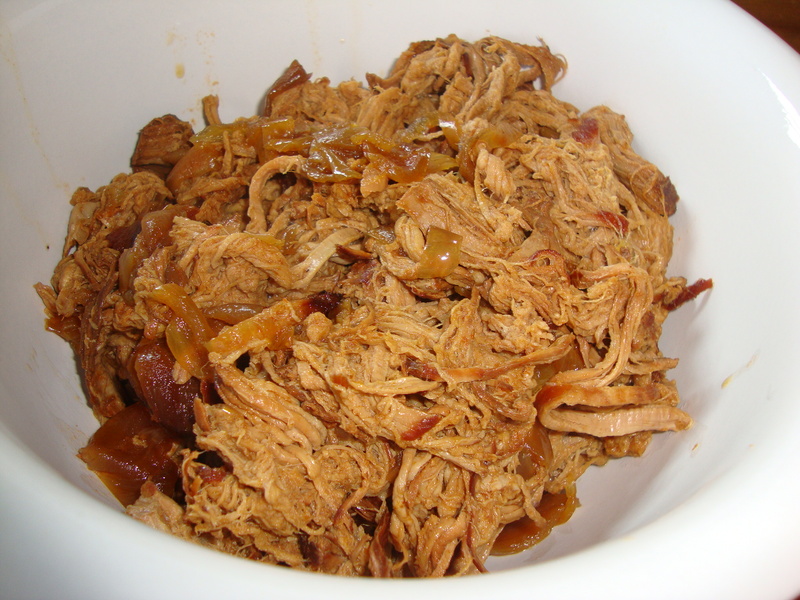 Cook low all day…drain the liquid and shred the chicken…add BBQ sauce to taste, if it’s hot already then you are all set. You could also add an onion or two. A healthy option! 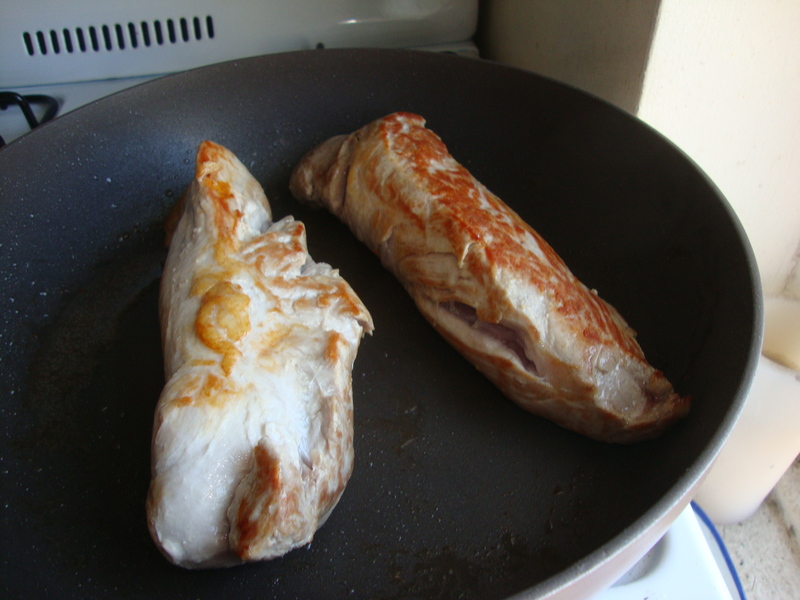 I use predominantly the same method to make the pork except I add whole cloves to the pork. I cut little slits in the pork and poke the cloves into it like a porcupine. Or is that porkupine? The cloves can be removed when your pulling it and it adds so much flavor.